If we say we value all lives, what do we tell people with disabilities about assisted suicide? The concept of physician assisted suicide remains as controversial a topic as ever. 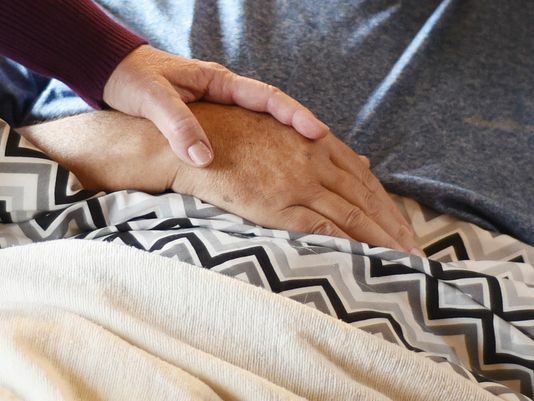 The debates have escalated as New York Assemblywoman Amy Paulin has introduced a bill to incorporate Aid in Dying into New York state law. Amid a progressive movement in which it is strongly believed that people should have the right to choose, those who advocate against assisted suicide fear that it will become a “slippery slope” particularly the manner it may affect society’s most vulnerable people — individuals living with disabilities. Last year we celebrated the 25th anniversary of the passage of the Americans with Disabilities Act as well as the 16th anniversary of the U.S. Supreme Court’s landmark decision affirming the right of individuals with disabilities to live in their community of choice. Advocates continue the fight to improve the lives of those living with disabilities. We strive to educate the public to better understand, accept, and accommodate individuals with disabilities while pushing for services, treatment and medical coverage helping them establish independence. Disability advocates also help people realize that there is life after disability. Individuals are encouraged to learn to embrace their disabilities — although people should not be defined by their disability — and realize that their disabilities are a part of them and they are who they are because of their situations. Individuals with disabilities have shown throughout the ages that they can reach great heights in life regardless of barriers, and that they can use their experiences to help others. This is true progressive thinking. Physician assisted suicide will hinder our progress and reinforce the idea that people with disabilities are burdensome and our lives are not worth living. Some in the disabilities community worry about messages imparted in the Death with Dignity movement. Proponents of assisted suicide often cite fears of becoming disabled along with a loss of dignity. They cite facing functional loss and requiring assistance with daily living as reasons for the right to choose to end life. People are being coerced into believing that ending their lives is a much easier option than learning to live with a disability is in complete opposition of the disability rights movement. The disability community strives to educate society that disability does not discriminate, and that it is a minority group anyone could join at any given time. We strongly oppose the belief that requiring assistance for activities of daily living is undignified, as there is absolutely no shame in having a disability. No one can truly grasp what an individual feels upon receiving a terminal diagnosis. However, specialists have been wrong and individuals have lived far past the time expected, leading fulfilling lives. Think of how many individuals could have chosen to end their lives during the days when HIV was perceived as a death sentence. Legalizing assisted suicide could severely hinder the advancement in medical research, because there would be less motivation to find treatments and cures of life-threatening and life-altering diseases and conditions. Furthermore, there is a significant risk that people may be coerced into this decision for financial reasons. Government and private health insurance companies and health-care providers would find assisted suicide much more cost-effective than providing lifesaving treatments. This would also extend to palliative treatments to alleviate pain and suffering. If expensive life-saving treatments are denied or delayed by insurance companies, the person will be steered toward assisted suicide, feeding into the notion that their lives are not worth saving. Physicians assisted suicide poses a threat to the equality of people depending on their required level of medical treatment and care. The lives of some in our community will take precedence over the lives of others. Among those at greatest risk are the elderly, those living with disabilities, those experiencing chronic illness, those with little to no family support and those with limited access to health care. It is a physician’s duty to utilize every ounce of their expertise to save lives. Assisted suicide is clearly a case where the cons outweigh the pros and an inevitable “Domino effect” could steer the future of health care in a downward spiral. The writer is systems advocate for Westchester Disabled On the Move, Inc.